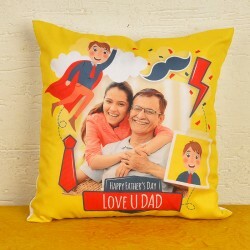 On the wonderful occasion of Father's Day, we bring to you the most scintillating gift options to create unforgettable moments for your dad to enjoy and cherish. 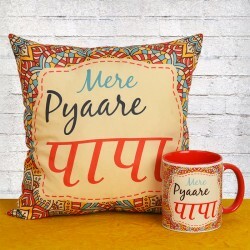 Right from flowers, cakes, green plants to our personalised collection of mugs, cushions and more, we have perfect Father's Day gifts for delivery in Jaipur! Order now! There is so much more to the word father than we ever care to acknowledge. He is a parent, caretaker and a guide rolled into one. Fathers carry out their share of bundle of responsibilities, commitments and efforts beautifully to ensure wholesome upbringing for their wards. He works towards the welfare of the family at all times. He was the one person who gave up so much to offer his child the best of everything. Fathers day presents the perfect opportunity to make our dad feel special through the exciting range of Father's Day Gifts. The gifts you send to your dad for father's day signify the strong relationship you share with one another. 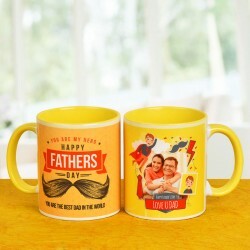 The distance between you and your dad doesn't matter much with our father's day gifts online Jaipur delivery. 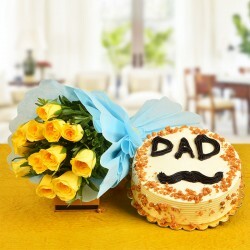 MyFlowerTree takes care of the delivery of father's day gifts to Jaipur online. 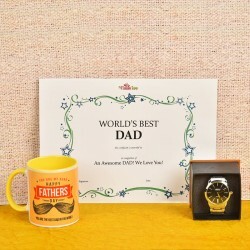 Ours is an online gifting store that adds to the spirit of Father's Day. 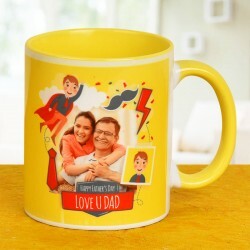 The wide collection of gifts for father's day helps you reward your father's efforts in most befitting ways. 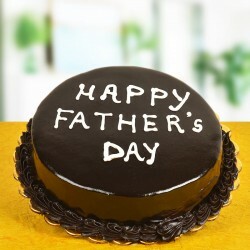 Do not let your hectic schedule come in the way of Fathers day splendour. Save time by searching gifts at our engaging online platform rather than at the local market . 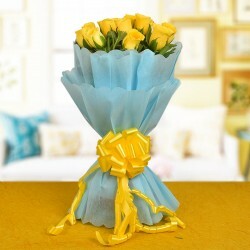 The price filters at MyFlowerTree website allow you to choose any gifts for dad depending on their budget. An early bird can build up the excitement for the special day by ordering a gift delivery in Jaipur days before the occasion and wait for it. 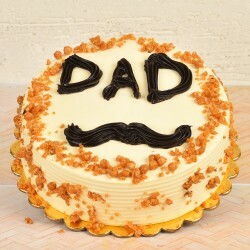 While a late bloomer can place an order for same day fathers day gift delivery and let us come to his rescue. With MyFlowerTree even a midnight fathers day surprise can be worked out to make your father happy through our Midnight Delivery services. The gifts and merchandise we deliver are best quality for the price quoted and are made to reach the recipient in a time bound manner. 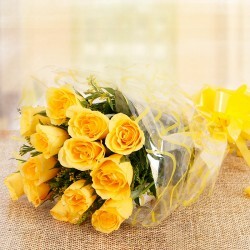 We offer prompt customer service to all our patrons who have doubts about placing a gift delivery order or otherwise. Fatherhood is a broadly defined as immense care dotted onto a loved one and it can come from a father, father-in-law, grandfather or any other father figures alike. 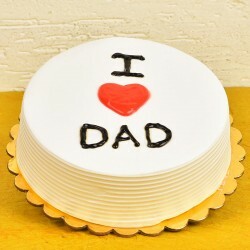 Make each one of your caretakers feel valued this Fathers day. 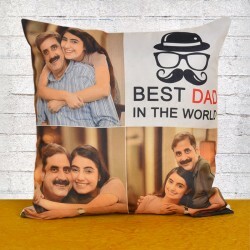 Send over unique gifts for dad from our online store and get them delivered anywhere in India and abroad in an easy manner. 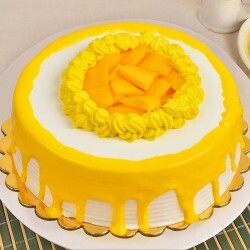 Be it a bouquet or arrangement of radiant flowers such as roses, tulips, lilies, carnations, sunflowers, chrysanthemums, daisies or a plush sweet offering like sumptuous cakes in tooth some flavours like vanilla, chocolate, strawberry and pineapple, we are happy to delivery it to you dad in Jaipur. 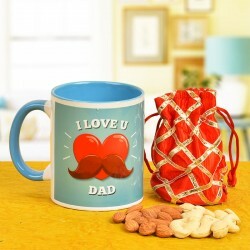 Innovative gifting ideas like household plants, gift hampers, frames, clocks, desktop accessories, grooming kits and personalised gifts like mugs and cushions are a part of our Father's Day gifting master plan.